ST. LOUIS — Missouri Gov. 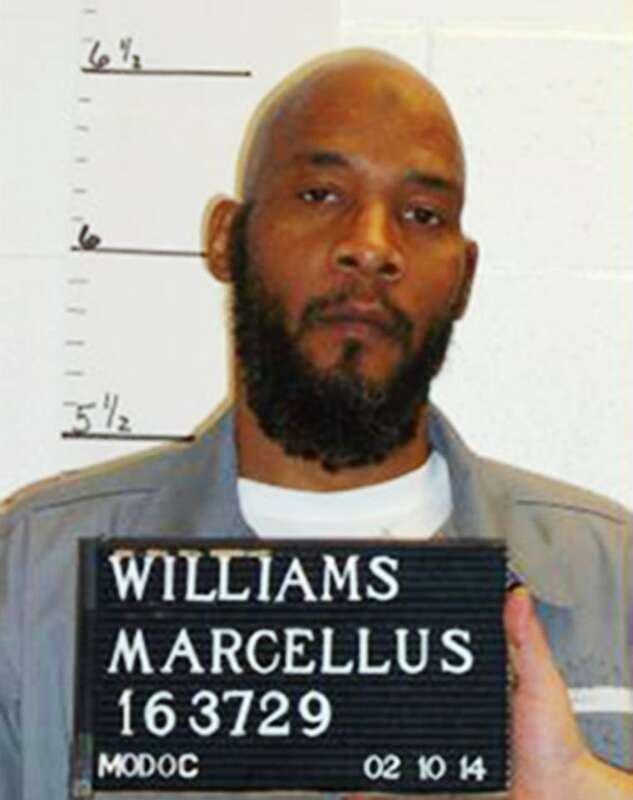 Eric Greitens on Tuesday halted the scheduled execution of condemned killer Marcellus Williams after DNA testing raised questions about whether he actually committed the crime. Just hours before Williams was to be put to death, the Republican governor said in an email that he was issuing a stay of execution. Williams was convicted of fatally stabbing former St. Louis Post-Dispatch reporter Lisha Gayle during a 1998 burglary at her suburban St. Louis home. Williams' execution had been scheduled for 6 p.m. Tuesday. The governor's decision comes after Williams' attorneys cited DNA evidence found on the murder weapon that matched another unknown person, but not Williams. But St. Louis County prosecutor Bob McCulloch said there was ample other evidence to convict Williams, and that there's "zero possibility" he's innocent. Gipson also had appealed to the U.S. Supreme Court over concerns raised by DNA testing of the knife conducted in December using techniques that were not available at the time of the killing. He also cited previous DNA testing of hairs from Gayle's shirt and fingernails that also excluded Williams, and said footprints at the scene did not match Williams. But McCulloch on Tuesday said the DNA tests "were inconclusive" and "can neither include or exclude" Williams as the killer. Death penalty supporters say there is no evidence that an innocent person has ever been executed in the U.S. But the Center on Wrongful Convictions at Northwestern University School of Law in Chicago cites at least 39 executions carried out despite what it calls "compelling evidence of innocence or serious doubt about guilt." Robert Dunham, executive director of the Washington-based Death Penalty Information Center, called Williams' case "one of the strongest claims you'll see." "When you have an allegation that there is a single murderer and the DNA on the murder weapon is a single person and not the defendant, that's pretty strong evidence suggesting innocence," Dunham said. Spillane said Williams broke out a window pane to get inside, where he heard water running in the shower. Spillane said Williams went downstairs and found a large butcher knife. When Gayle got out of the shower and went downstairs, Williams attacked her, stabbing her 43 times, Spillane said. Gayle's purse and her husband's laptop were stolen.